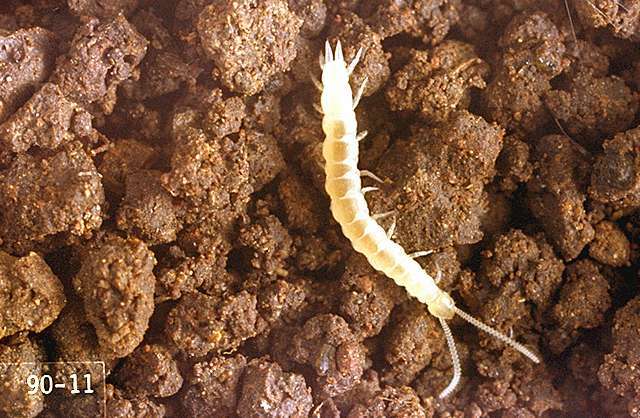 Pest description and crop damage Active, white, fragile, centipede-like, soil-borne relatives of insects, 0.25 inch long, with 12 or more pairs of legs. 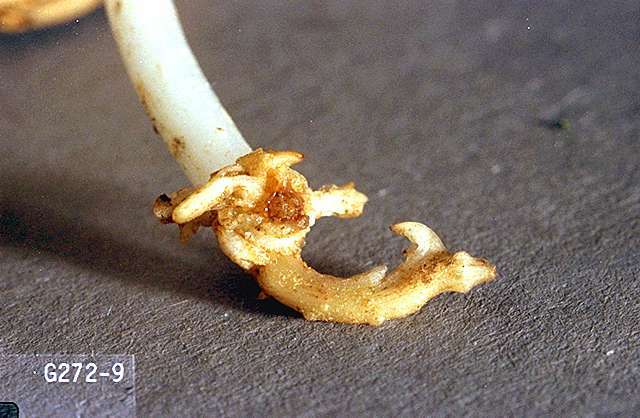 They primarily damage sugar beets early in the season by feeding on germinating seed or on small roots of seedling plants. Scouting and thresholds No formal economic thresholds exist for symphylan insecticide treatment decisions. They occur in unpredictably spotty infestations and generally are considered minor pests. There are no effective "rescue" treatments that can be applied postemergence in sugar beets for symphylans.